Hebei Raineelo Trade Co., Ltd.
BROAD GROUP has been China's leading manufacturer and exporter for thermal insulation materials since its inception in year of 1998. 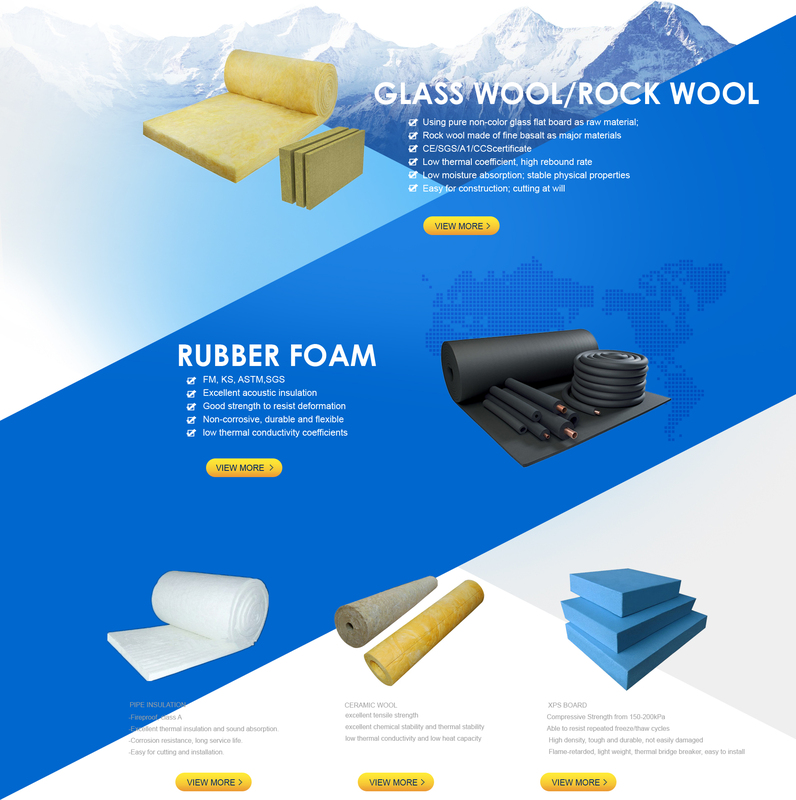 Our main products Glass wool, Rock wool, Foam Rubber BROAD GROUP has been China's leading manufacturer and exporter for thermal insulation materials since its inception in year of 1998. Our main products Glass wool, Rock wool, Foam Rubber Plastic Insulation and Aluminum foil facing are widely used in construction, thermoelectricity, petroleum industry, smelting industry, shipping industry, space industry, air conditioner, refrigeration industry etc. Our products and services are engineered to make people's life more comfortable and business more profitable by conserving energies. At the same time we want to create value through innovation, growth and social responsibilities. 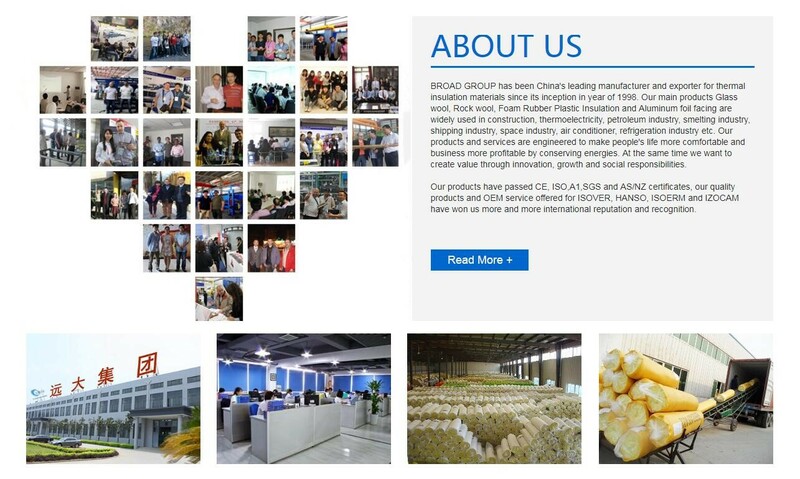 Supported by solid capital support and technical strength from Broad group, we have our R&D centers and workshops located in Langfang city Hebei province. After many years' developing, now we totally have 8 producing lines for Glass wool insulation and 3 producing lines for Rock wool insulation, our products have passed CE, ISO,A1,SGS and AS/NZ certificates, our quality products and OEM service offered for ISOVER, HANSO, ISOERM and IZOCAM have won us more and more international reputation and recognition. We are organized into the Manufacturing Group and the Sales Group. The Manufacturing Group consists of seven plants in China each making a specific type of insulation materialBroad group are specialists in providing custom-built packages to meet client's exacting heat-preserving and sound-insulating requirements, Standard packages are usually available on quick delivery. You can find our products in China domestic, Australia, Brunei, Saudi Arabia, Bangladesh, Egypt, Vietnam, and Russia etc more than 50 oversea countries. "High Quality ,Competitive Price, considerate service" is our guidelines, Choosing us as your insulation materials supplier, you will get quality Material & Services, what is more important, competitive prices you get will save you much for your project, we would like to work with you side by side and we promise will never stop our serve until getting your satisfactory. Welcome you visit us any time and talk business with us face to face. We do hope to establish a long term business relationship with your honored company!